Guest post from freelance contributor, Lindsey Patterson, who specializes in business technology, customer relationship management, and lead management. In an industry where everyone seems to discuss when to implement Hadoop Excel solutions, “big data” is a term that gets tossed around often. Ask yourself a question: How big is big? Like everything else, our abilities and perspectives determine what the answer is going to be. If you ask someone if reading the whole phone book is a big task, they’ll certainly agree. A computer, on the other hand, barely blinks before it’s done. Big data exists to analyze for patterns, and it’s already proving to be very useful in today’s world. AutoCorrect certainly isn’t a perfect technology, but more often than not, it’s an extremely useful tool that cleans up your mistakes before sending off the message. Phones need to house quite a dictionary and figure out what word you meant to use. Consider how many combinations of letters there are and how many there are when you include adjacent letters on a keyboard. Couple that with the order sequence and context of the sentence, and you have a lot of factors that a human wouldn’t be able to manage in the place of the machine. Now consider that there’s more than just English on these phones; big data is needed for these endless combinations. While it’s of a business focus, this is another important focal point of big data. Here, it’s important to understand what a customer wants, how they behave and what they prefer. Not only does this keep a company from wasting one’s time with something they don’t need, but it helps ensure you have a more positive experience with your normal shopping. Perhaps the most well-known example of this is the United States based Target, who can now predict when a customer is expecting a new baby in the household. With big data, Wal-Mart knows what products are going to sell, car insurance companies can make decisions based on how customers actually drive, and Telecom companies know customer needs. Election campaigns can even use big data for best results. 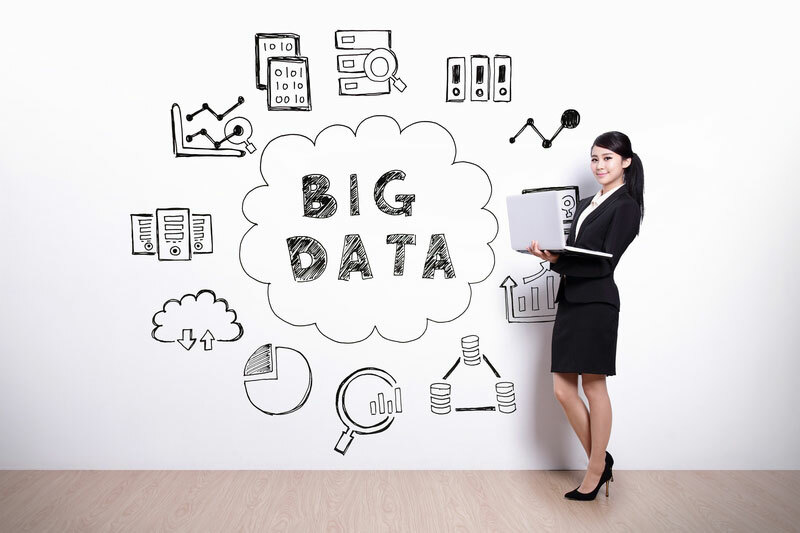 Businesses can also improve internally as a result of big data. For example, let’s look at a major player in online shopping and a popular way to buy glasses online. One of the main issues with glasses is that there are two parts to every purchase: the lenses and the frames. They are almost always bought together, but it is not clear how to price them to generate the most business. After experimentation and research, Glasses.com found that the most appealing way to price their products was to make lenses free. There were many possible combinations of discounts on the lenses and frames, but this arrangement proved to be the best, and the company only learned this by using their data. In particular, analyzing big data has proven to be useful for delivery route optimization and within the supply chain. In these cases, radio frequency and GPS are both used to monitor a delivery vehicle, allowing them to monitor real time traffic data and change to a better route based on that. In Human Resources, it’s easier to search for more talent by identifying certain properties. There are big plans on the rise for big data in urban planning. In this case, the movement of people can be monitored, which can be used to change urban planning. Recently, an MIT professor noticed that some drivers in Boston worsen the traffic on certain days. This kind of knowledge can help an urban planner incentivize drivers to take different paths on those days. More cities are starting to use these techniques to alter urban centers. Specifically, the Urban Center for Computational Data discusses computers helping cities determine in what ways new features would impact a city, such as the effect of a new bus line on energy use and crime. Currently, science and research are further evolving what big data has to offer. For example, CERN houses the most powerful and biggest particle accelerator in the world, the Large Hadron Collider. Experiments that are conducted here help provide huge amounts of data. Currently, there are 65,000 processors used to analyze more than 30 petabytes of data, distributing the computer power among thousands of data centers globally. This level of processing naturally produces a cycle, allowing for better science and research to unlock even more data. With the power of big data analytics, it is possible to decode full DNA strings in just a matter of minutes. This enables scientists to develop new cures and understand the warning patterns of disease. Imagine what this will mean when it is possible to collect data from smart watches and similar health devices. Clinical trials could include anyone with access to such a device. It also means an improvement in insurance plans that are able to pinpoint someone’s personal risk factors. An online insurance quote will be as simple as transferring one’s health data from your smartphone. Naturally, there are plenty of other ways that big data has been positively impacting the world, and it’s only expected to continue. The further along we move into the future, more industries will start taking advantage of the benefits of big data and similar learning to improve processes and functions, ultimately leading to a better, more personal experience for the average person. Please let us know in the comments below if you have any questions or comments.